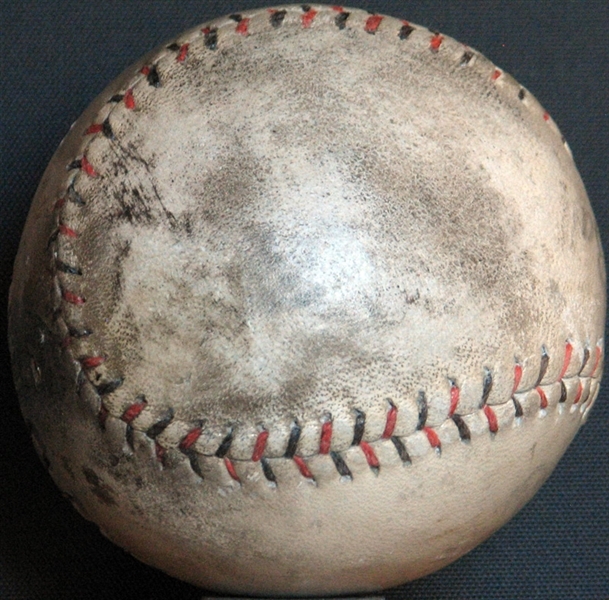 Accustomed to playing second-fiddle to the larger than life Babe Ruth, "Iron Horse" Lou Gehrig was more than content on signing the side panel of a ball and leaving the "sweet spot" open for the Bambino to swoop in and add his signature. 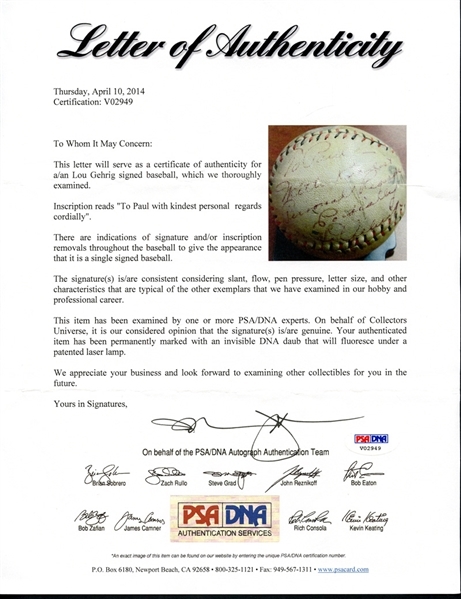 But here's a case where the Babe wasn't a factor and the signee (Paul) apparently made it clear to Gehrig that he was the featured attraction. 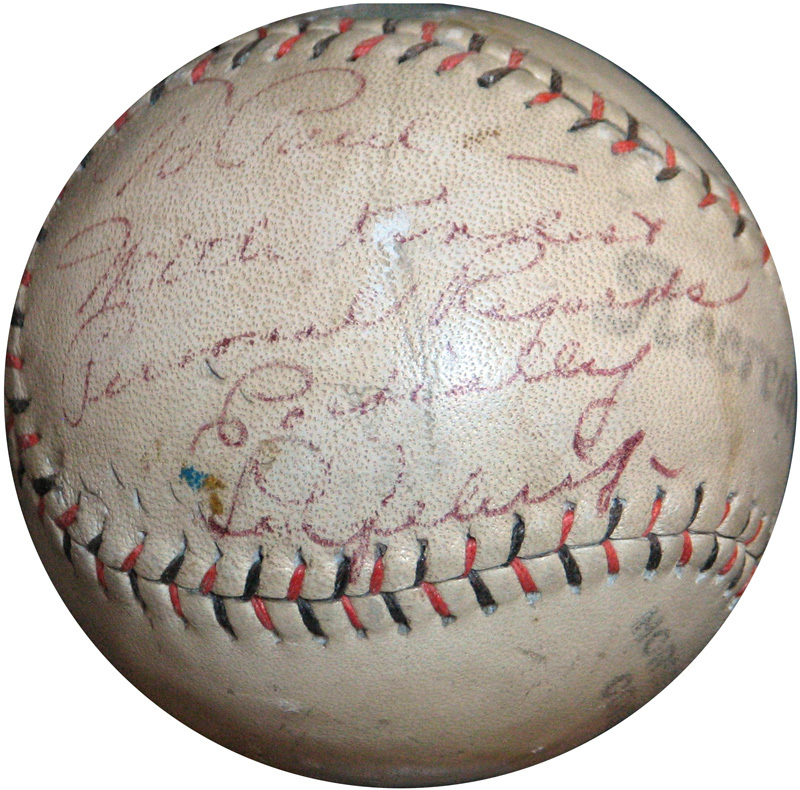 Though the color of the ink appears to have turned from the traditional blue to a purplish-magenta over time, both the inscription and the signature are still plenty bold and easy to read, "To Paul - with kindest personal regards cordially Lou Gehrig." 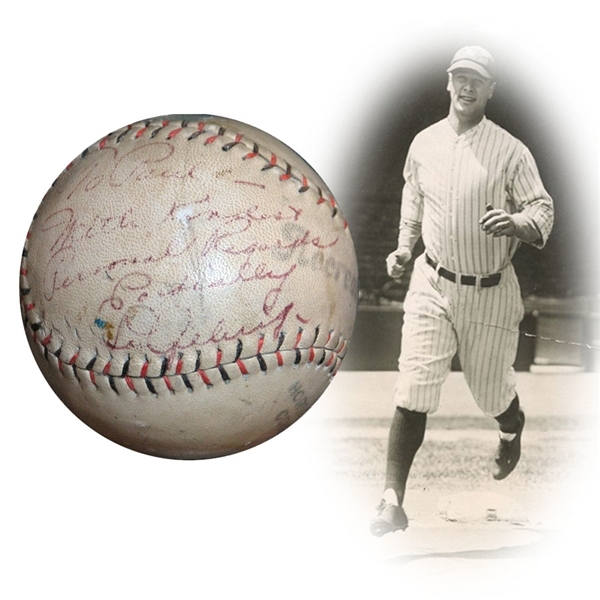 The entirety of the panel is used by Gehrig to deliver his message, which answers a lot of questions for autograph hounds who have only seen his signature and wondered how he formed other letters that aren't in his name. Just as he does with the first letters of his first and last name, Gehrig appears to create large looping letters to begin every word, clearly visible in the T, P, W, R and C on those respective words. 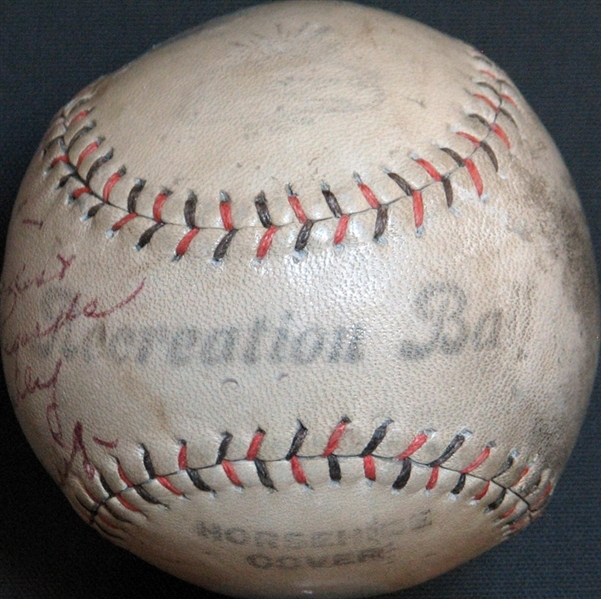 A fantastic and quite rare display piece! LOA from PSA/DNA.